Passion, death, guilt, regret, and madness weave through the Shakespearean texts BHS students explore. Burlington seniors read about Macbeth and his “dearest partner in greatness” (1.5) as they spiral down a dark path of murder and its consequences. Freshmen consider the problems of unrelenting opposition for the sake of opposition in the tragic love story of Romeo and Juliet. This month, both grade levels had the opportunity to see Shakespeare’s language come to life in modern adaptations of these plays. 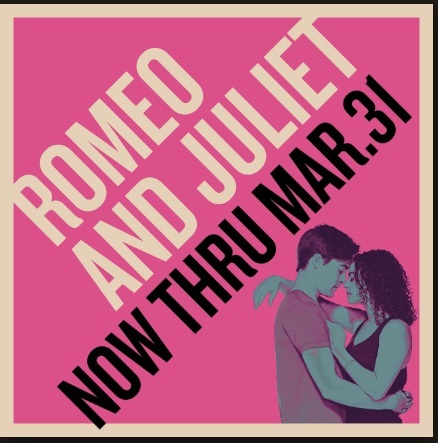 Grade 9 students attended Huntington Theater’s contemporary telling of Romeo and Juliet as envisioned by artistic director Peter DuBois. Dubois’s rendition of the play focuses on “the peril of a society possessed by blind tribalism” as the backdrop for “a love story that has a boundless sense of joy and abandon.” Students loved seeing the story unfold on stage and then talking about its connections to their own world in class. Whether connecting the Montague and Capulet feud to modern-day political divisiveness or seeing themselves in the young characters who stop trying to make sense of it and follow their hearts instead, students discovered how Shakespeare’s story is one that lives on. The production includes BHS alumnus Zaven Ovian as Sampson, which made the play so much more meaningful for students who got to see that it is possible to take their current artistic passions and make them part of their future reality. BHS Seniors, who are ending the third quarter by exploring one of Shakespeare’s darkest tales of betrayal, had the opportunity to meet members of the Underlings Theater Company and learn about how they bring a text from page-to-stage. Director Daniel Thomas Blackwell shared his inspiration for the telling of the story as a contemporary horror tale, based on modern found-footage films like The Blair Witch Project and Paranormal Activity. He, along with actors Cassie Foote and Olivia Caputo, spent all day with seniors in the BHS library sharing their strategies for understanding and interpreting characters’ objectives, obstacles, and actions. In this page-to-stage workshop, students witnessed Foote as Macbeth and Caputo as Lady Macbeth act out different interpretations of pivotal scenes and also consider what it might be like to direct a production based on their own vision. Students were excited to see how Underlings took a tragedy, often considered a gender play, and adapted it for a contemporary audience ready to challenge gender constructs and social limitations. The show received a Standing O award from StageSource’s Gender Parity Task Force for meeting gender parity benchmarks. Many BHS students took advantage of the discount Underlings offered them and are planning to see the show in April. Ensuring that all students see live theater is one of the BHS English Department’s top priorities. Seeing an author’s and director’s vision come to life is part of the experience of rich literature. We are lucky to have such strong local theater companies willing to make this objective a reality by crafting high-quality productions and remaining dedicated to providing access to all students.